The Democratic candidates must endure one more campaign stop in Wyoming before they can give their full attention to New York's charged primary. Eager to trip up Sanders' seven in eight state winning streak, Hillary Clinton will arrive in Wyoming ready to win. But will she be able to interrupt her opponent's momentum in the West? Her history with the Cowboy State suggests it's not necessarily her comfort zone. In 2008, the former secretary of state didn't have the best of luck in Wyoming. The state favored Barack Obama, who won an astonishing 61.4 percent of the vote before becoming president. Prior to swiping Wyoming in a landslide victory, Obama won other states in that region including Colorado, Nebraska, and Washington. Sound familiar? Sanders has found overwhelming support in each of those states, rendering the West his stronghold. It's difficult to gauge whether history will repeat itself this time around, because as of January, Wyoming has neglected to conduct any Democratic primary polls. Since then, it doesn't look as though any polls have been published and there's only one logical explanation. In 2013, Gallup rated Wyoming the most conservative state in the nation after 51.4 percent of participants identified as Republican. On top of that, it has the smallest, least diverse population. If the Democratic candidates want to see a big turnout, they're going to have to do some coercing because only 8,753 Democrats participated in Wyoming's caucus in 2008, according to the Green Papers. Even so, it was considered a record turnout. Obama succeeded in attracting a large majority of those voters by establishing a strong presence early on in the state. The soon-to-be president set up over twice as many local campaign offices as Clinton. Based on his personal visits to Wyoming, it seems as though Sanders is on a similar path now as Obama was six years ago. 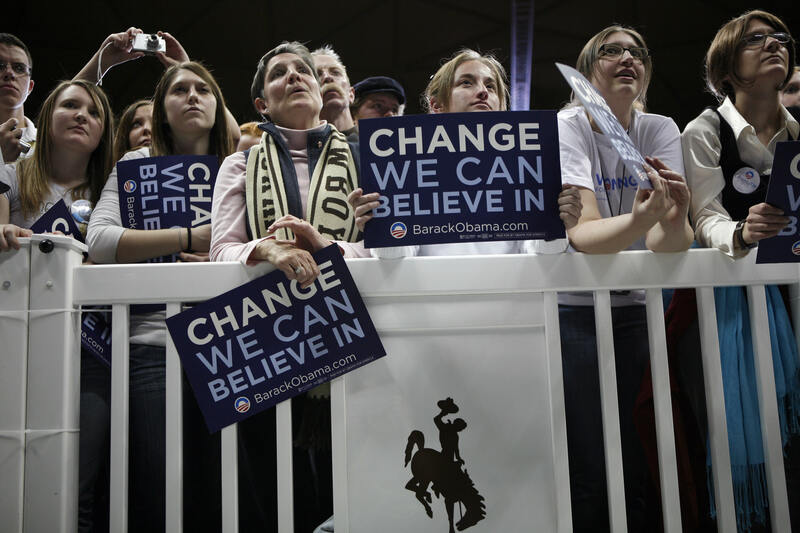 Instead of flying out to New York or remaining in Wisconsin on Tuesday night, Sanders made his victory speech at the University of Wyoming and attracted an audience of over 2,000 people. Instead of making a trip out West, Clinton has been focusing on New York, though her husband, Bill, campaigned for her in Wyoming on Monday. The former president attracted an audience of roughly 500 people. Since the 2008 elections, the state, which offers only 14 pledged delegates, has gone relatively unnoticed by the Democratic Party. Thus, any form of acknowledgement is likely appreciated by Wyoming's outnumbered liberals. If the dynamics of 2008 are any indicator for 2016, Sanders' trajectory is looking better than Clinton's.